Emurgo has reached the milestones it set for the development of Yoroi Wallet in Q4 of 2018. The team announced the milestone on the Emurgo website, talking about their journey to building and launching the Yoroi Wallet in 2018. The Yoroi Wallet was built and launched by Emurgo, one of the three entities developing the Cardano blockchain. The other two are IOHK and the Cardano Foundation. Emurgo is based in Japan and set its sight on creating the Yoroi light wallet in 2018, which received positive feedback from the community after its launch. Emurgo said that it “is delightful news for our hard-working tech team!” detailing how they had set an ambitious plan up in July last year. The team suggests that some of their items still need to undergo validation and QA processes, but all are feature complete. The Yoroi wallet was updated to support six new languages including Simplified Chinese, Traditional Chinese, Russian, Japanese, Korean and English. The addition of new languages will help the wallet reach a wider audience. The light wallet was also integrated with Trezor hardware wallet last year. Educational content has been created to help users, including explanatory videos which can be accessed on their website and social media. The videos will be helpful for beginner users looking to set up their wallets or those who want to connect Trezor with Yoroi. The Yoroi Wallet app has also become feature complete for both Android and iOS. The repository will be made public to let the developer community work together and test the apps publicly before they are released on both platforms. The wallet was also integrated with the Firefox browser, but it still needs to complete QA before submission to Mozilla. Developers who want to create their own Mozilla extension can get help from the Yoroi Github page. The team is currently working to take the export to Excel function live. 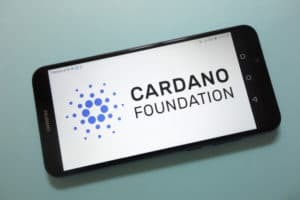 Emurgo Announce Yoroi Wallet Progress to Cardano [ADA] Community was originally found on copy trading cryptocurrency | Blockchain News | Bitcoin News | blokt.com.